With Father's Day right around the corner, we wanted to introduce you to a great new golf polo that would make the perfect addition to your Father's Day Gift Guide. 2-DG Apparel is a new luxury sportswear line and has UPF 50+ UV, is made from 100% recycled material and 10% of all sales goes to cancer research. Basically, it is a quality polo shirt that is making a true difference in the world. The material is the highest quality out there and is very breathable for a day on the golf course, tennis court, or date night out. See the photos attached below, as well as more information about the polo. Inspired by the desire to help fund research for the universal treatment of cancer, 2-DG founder Shail Shah and his wife Valentina combined their joined 40 years of experience in retail and manufacturing to create a luxury polo shirt that is unique in its design and purpose. Valentina's family owns factories in Italy that produce clothing for brands such as La Perla and Alexander McQueen and Shail's father was a pioneer in plus size clothing for women, so creating a new fashion label was a next natural step for the couple. "More than a brand, 2-DG is a cause,” Shah said. “After losing my father to cancer and nearly losing my mother to the same vicious disease, I knew I had to do something to help." "2-DG is also focused on reducing our carbon footprint, preserving the environment, and reducing waste, so we have launched a brand that focuses on creating products that are made from 100% recycled fibers. 2-DG’s fabric is made from fishing nets that were abandoned in the ocean,” Shah said. “We can’t take our planet for granted, our recycled fabric not only looks and feels luxurious, but it’s helping clean up our oceans.” Marine scientists estimate that fishing nets kill hundreds of thousands of marine mammals every year. Including whales, seals, turtles and birds. Thank you for taking the time to read this fashion blog post. We hope that you have found this fashion blog post to be enjoyable. 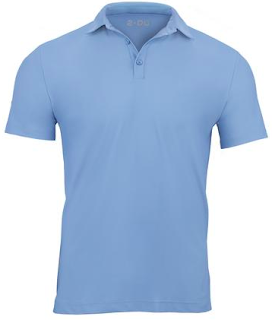 If you are interested in learn more about men's polo shirts, you are welcome to visit our men's polo shirt guide page to learn more.